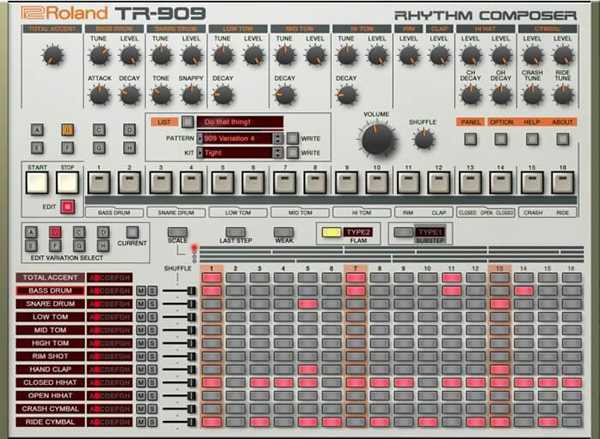 Roland Virtual Sonics has just announced the release of the new TR-909 Software Rhythm Composer to users of the Roland Cloud service. The move comes one month after debuting the TR-808 Software Rhythm Composer. The TR808 and TR909 are two of the most recognizable drum machines on the planet. They are adored for their sound and used to this day in many different genres of music. Now, music producers are able to capture the official sounds of the vintage drum machines in a software environment. Roland Virtual Sonics has taken the power and flexibility of modern day production techniques and combined them with the feature set found in the original TR-909 drum machine. Each pattern on the machine has eight variations, a classic sequencer and much more – all available in a software environment. The TR-909 Software Rhythm Composer also integrates with the recently released TR-8S Rhythm Performer hardware.